After fifteen years traveling the world and writing about it, Kristy Hall joined The Tropical Travelers as a travel vacation consultant in 2008. Kristy has extensive knowledge of Southeast Asia, the South Pacific, the Mediterranean, Fiji, Australia, Costa Rica, Vietnam, Jordan and India. Kristy’s favorite place to travel is India. She loves the culture, the country’s people and the 5-star accommodations. She loves to travel by train, and has taken overnight train journeys through Vietnam, Thailand, Malaysia, India and Europe. Her truest life’s passion is traveling, exploring new destinations and learning about new cultures. Her best advice on traveling is to use creativity and strong communication skills. And though it’s nearly impossible to speak every language in the world, there are some universal hand gestures that can be used, and of course, a smile always goes a long way. In her professional life, Kristy concentrates on family travel, arranging memorable trips to destinations throughout the world including Mexico, the Caribbean, Hawaii, the South Pacific, Europe and Asia. She can speak as an expert on family travel and babymoons, which are romantic getaways or special vacations for expectant parents or new parents and their new-born babies to become acquainted. 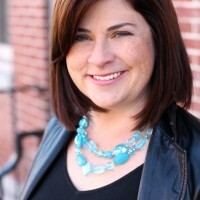 Kristy graduated with a Bachelor’s of Science in Mass Communications from Boston University. Previously, she worked in Corporate Communications for a financial services company in lower Manhattan. She lives in New Jersey with her husband and their sons Murphy (age 6) and Elijah (age 5), who joined the family in 2010 from Kerala in India.